Today we were able to catch two groups down at Soaring. The first group was mostly 4th Class Cadets and the second group was a mixture of all four Classes. 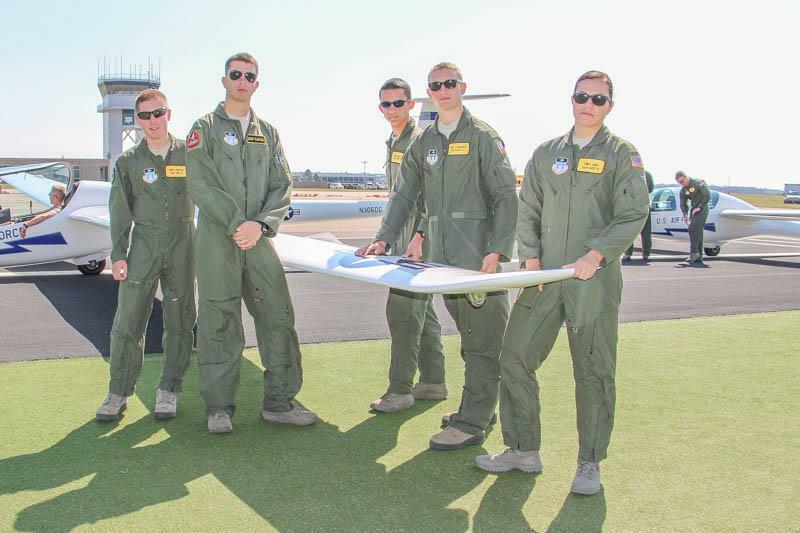 These 4th Class Cadets are able to learn about Soaring during the Academic Year. 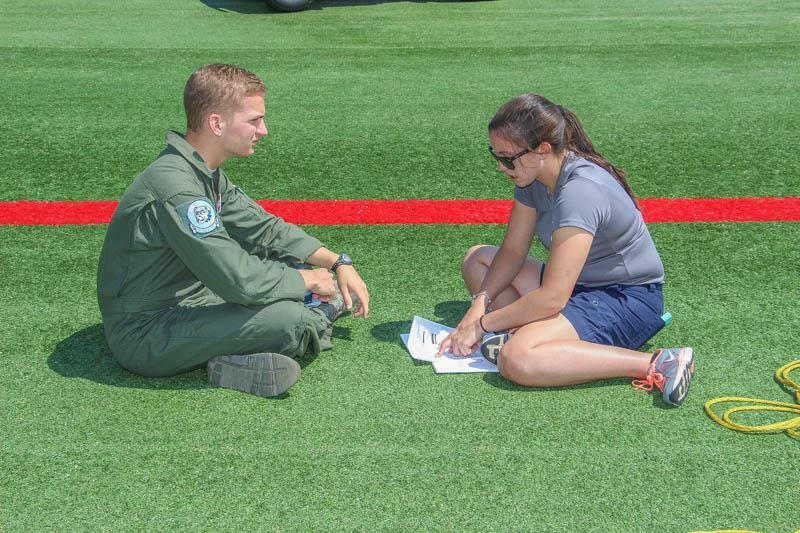 During the summer between their first and second year at the academy they will be able to take an airmanship session. The 4th Class Cadets have two choices. Soaring or Jump. They will be able to go into Powered Flight when they get to their 3rd and 4th year at the Academy. Because of being able to take this course during the school year, we might see them down here again over the summer! Not only were the Cadets enjoying their time down at Soaring but so were the Tow Plane Pilots! We tend to see a lot of this going on with the Upperclassmen groups. What are they studying? 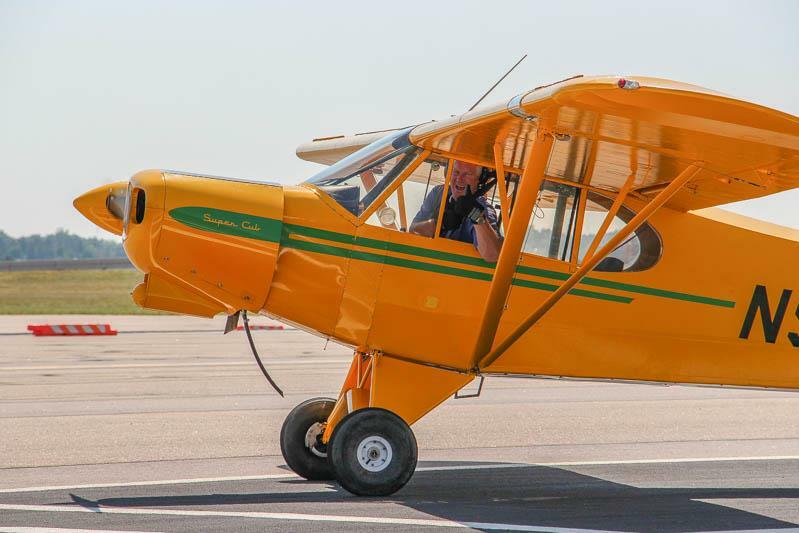 Pretty much everything and anything they need to know in order to become a Soaring Instructor. There are four phases over the course of two semesters that they must go through if they want to be a future Instructor. Not to mention some of the YOUNGEST Soaring Instructors in the Air Force. As they go through each phase, their responsibility inside and out of the Soaring Aircraft becomes more and more in depth. Each phase has different elements they must achieve from assisted flights, to unassisted, then assisted but with errors that they must catch and correct midflight. They must also get perfect scores during some of these phases because if they don't - they aren't quailified to become Soaring Instructors. To check out the pictures from today, go to the Airmenship Gallery and select Soaring - Pictures from today start on page 46.